The blue curve, beam response, shows that the beam has the resolution to resolve the two different models. That even near the filament the velocity is pretty much sub-sonic—the upper dotted line is the sound speed. This further supports the claim that Jeans collapse may be the mechanism behind the filament, although there may have been post-processing or feedback after the filament formed, so we can take this with a grain of salt. Molecular cloud—particles are mostly molecular not atomic hydrogen, meaning . The .33 accounts for bigger things, such as Helium. corresponds to assuming a typical, Milky Way elemental abundance. At first glance the cut seems arbitrary. If the thought is that the YSO is heating a region around it, leading to bigger velocity dispersions, the size of that region should be dictated by something like the physics of a Stromgren sphere, and have nothing to do with the beam size. A similar comment applies to the case where the region is heated by a stellar wind or outflow. However, if the beam has width 6”, and we assume that represents the full-width at half maximum, then 1 sigma is 3”, and 12” represents 2-sigma on either side of the Gaussian beam profile. So, while technically structure >6” would be resolved, anything within 12” of the beam will be smoothed by a Gaussian profile. Hence there is potential for contamination of the black histogram by the YSO if one is closer to it than 12”. Radiation from the YSO, interaction between outflow/stellar wind and gas. To some extent, yes—it shows the velocity dispersions are mostly subsonic, which is also evident from Figure 2 b if you calculate and see that most of the region has lower values than this. But Figure 3 shows you just how much of the region doesn’t (i.e. 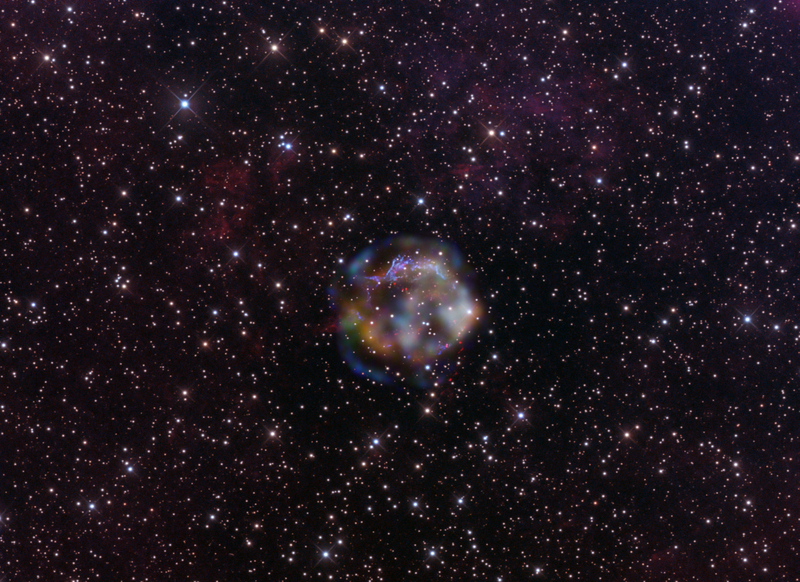 is supersonic), and that most of the bits that are supersonic are near the young stellar object (YSO). The left-hand panel shows the centroid velocity: in each little beam-size cell, one has a Gaussian-esque line profile, with some centroid whose velocity can be calculated using the line’s red or blue shift. The right-hand panel shows, in each little beam size cell, what the width of this profile is. Interestingly, one can compare the sigma of the centroid velocities in the boxed region of the left panel occupied by the filament with the sigma in each beam-sized cell and use this ratio to test the geometry of the structure in the region. This is essentially because of Larson’s Laws: Philip Mocz’s post on Larson’s laws explains how this ratio depends on the geometry, and calculates it for several idealized cases. The most relevant one for us is the long sheet, which in 2-d projection would look similar to a filament. The ratio predicted for such a geometry is 2.67. Estimating by eye the needed quantities from Figure 2 (try this yourself), we find —offering somewhat independent confirmation that we have a filament. Note this calculation will be somewhat sensitive to how you choose the region over which to calculate the ratio—but we already know what we are looking for (the filament), so can choose the region accordingly. However, this is why I qualified this with “somewhat” above. The Jeans length drawn on, between the YSO and the starless condensation—it is one of the key pieces of evidence that Jeans collapse may be happening. mJy are a unit of specific intensity, or flux at a particular frequency. Integrated intensity is therefore mJy times Hz (or 1/s). One can convert Hz to km/s by determining what velocity is implied by a given frequency shift , and that is what has been done here, with GHz. Resolution! And thus probing details of velocity dispersion. The GBT image does not really resolve the filament, and only marginally shows the starless condensation—which is separated from the young stellar object by a Jeans length, a key piece of evidence for the efficiency of Jeans collapse in the region. In your bathroom, if you clean it— is actually just ammonia! Ammonia is common in regions near the galactic center (Kaifu et al. 1975). And CO becomes optically thick before ammonia—and optically thick is optically useless when you want to find densities! Ammonia allows study of denser regions—exactly what is needed to probe star formation. The (1,1) transition is actually quite exotic: no mere rotational line here. Ammonia is shaped like a triangular pyramid, with the three H’s at the base and the N on top. The N can quantum mechanically tunnel through the potential barrier of the base, inverting the pyramid. So the (1,1) transition is also known as an “inversion” transition. You might wonder why there is a potential barrier at all—after all, each H atom is neutral, and so is the N on top. But, if you were an electron on one of the H’s, were would you want to be? Certainly far from the other 2 Hs’ electrons! Hence each H’s electron will spend most of its time outside the base, meaning the triangle formed by the H’s will be slightly positively charged on the inside. Similarly, the electron on the N will want to be as far from the other three electrons as it can be, so it will hover above the N, meaning the bit of the N facing the pyramid’s triangular base will be slightly positively charged. Ergo, potential barrier. Making simple assumptions, we can estimate the energy of the inversion. Assuming the distance to the base’s center for each H’s electron is (a+l), a the Bohr radius and l the ammonia bond length, 1 angstrom, and that the N’s electrons are (a+l) above this center, we calculate the potential where the 7 protons in N are. Converting to energy and thence frequency, we obtain . Incidentally, to go further one could use the WKB approximation to estimate the tunneling probability. Given a minimum flux per beam width to which the telescope is sensitive (14 mJy here is the noise), one could even then place a lower bound on the column density observable with this transition by a particular instrument, and assuming isotropy, one could get a density from the column density. “Inevitably when large enough” is the key. One can indeed treat the supersonic motions as contributing an additional pressure, and raising the Jeans length—the problem is, they raise it above the typical size of a dense core! Hence for dense cores to collapse, the turbulence must be dissipated so that the Jeans length goes down below the size of the core. One of the main goals of researching the ISM is understanding the connection between the number and properties of stars and the properties of the surrounding galaxy. We want to be able to look at a stellar population and deduce what sort of material it came from, and the reverse–predict what sort of stars we should expect to form in some region given what we know about its properties. The basics of this connection have been known for a while (eg. Bok 1977). Stars form from the gravitational collapse of dense cores of molecular clouds. Thus the properties of stars are the properties of these dense cores modulated by the physical processes that happen during this collapse. One of the key items we would like to be able to derive from this understanding of star formation is the stellar initial mass function (IMF)–the number of stars of a particular mass as a function of mass. Understanding how the IMF varies from region to region and across time would be extremely useful in many areas of astrophysics, from cosmology to star clusters. In this paper, Alves et al. attempt to explain the origin of the IMF and provide evidence for this explanation by examining the molecular cloud complex in the Pipe nebula. We will look at some background on the IMF, then review the methods used by Alves et al. and asses the implications for star formation. The IMF describes the probability density for any given star to have a mass M, or equivalently the number of stars in a given region with a mass of M. Early work done by Salpeter (1955) showed that the IMF for relatively high mass stars ( ) follows a power law with the index . For lower masses, the current consensus is for a break below , and another break below , with a peak around . A cartoon of this sort of IMF is shown in Fig. 1. The actual underlying distribution may in fact be log-normal. This is consistent with stars being formed from collapsing over-densities caused by supersonic turbulence within molecular clouds (Krumholz 2011). This is not particularly strong evidence, however, as the log-normal distribution can result from any process that depends on the product of many random variables. The efficiency of star formation peaks at certain scales. There has been quite a lot of theoretical work examining option 1 (see Krumhoz 2011 for a relatively recent, accessible review). There are many different physical processes at play in star formation–turbulent MHD, chemistry, thermodynamics, radiative transfer, and gravitational collapse. Many of these processes are not separately well understood, and each is occurring in its complex, and highly non-linear regime. We are not even close to a complete description of the full problem. 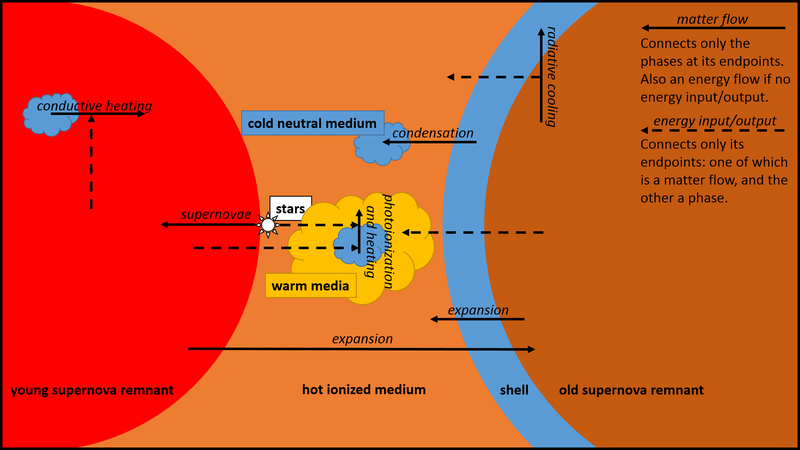 Thus it would not be at all surprising if there were some mass scale, or even several mass scales that are singled out by the star formation process, even if none is presently known. There is some approximate analytical work showing that feedback from stellar outflows may provide such a scale (eg. Shu et al. 1987) . More recent work (e.g. Price and Bate 2008) has shown that magnetic fields cause significant effects on the structure of collapsing cloud cores in numerical simulations, and may reduce or enhance fragmentation depending on magnetic field strength and mass scale. Nevertheless, the authors are skeptical of the idea that star-formation is not a scale-free process. Per Larson (2005), they do not believe that turbulence or magnetic fields are likely to be very important for the smallest, densest scale clouds that starts ultimately form from. Supersonic turbulence is quickly dissipated on these scales, and magnetic fields are dissipated through ambipolar diffusion–the decoupling of neutral molecules from the ionic plasma. Thus Larson argues that thermal support is the most important process in small cores, and the Jeans analysis will be approximately correct. The authors thus turn to option 2. It is clear that if the dense cores of star forming clouds already follow a distribution like the IMF, then there will be no need for option 1 as an explanation. Unfortunately though, the molecular cloud mass function (Fig. 2) does not at first glance show any breaks at low mass and has too shallow of a power law index . But what if we look at only the smallest, densest clumps? Figure 2: The cumulative cloud mass function (Ak is proortional to mass) for several different cloud complexes from Lombardi et al. (2008). While this is not directly comparable to the IMF, the important take away is that there are no breaks at low mass. Observations using dense gas emission tracers like and produces mass distributions more like the stellar IMF (eg. Tachihara et al. 2002, Onishi 2002) . However, there are many systematic uncertainties in emission based analysis. To deal with these issues, the authors instead probed dense cloud mass using wide field extinction mapping (this work). An extinction map was constructed of the nearby Pipe nebula using the NICER method of Lombardi & Alves (2001), which we have discussed in class. This produced the extinction map shown in Fig. 3 below. Figure 3: NICER Extinction map of the Pipe nebula. A few dense regions are visible, but the noisey, variable background makes it difficult to seperate out seperate cores in a consistent way. The NICER map of the pipe nebula reveals a complex filamentary structure with very high dynamic range in column density ( ). It is difficult to assign cores to regions in such a data set in a coherent way (Alves et al. 2007) using standard techniques–how do we determine what is a core and what is substructure to a core? Since it is precisely the number and distribution of cores that we are interested in, we cannot use a biased method to identify the cores. To avoid this, the authors used a technique called multiscale wavelet decomposition. Since the authors do not give much information on how this works, we will give a brief overview following a description of a similar technique from Portier-Fozzani et al. (2001). Wavelet analysis is a hybrid of Fourier and coordinate space techniques. A wavelet is a function that has a characteristic frequency, position and spatial extent, like the one in Fig. 4. Thus if we convolve a wavelet of a given frequency and length with a signal, it will tell us how the spatial frequency of the signal varies with position. This is the type of analysis used to produce a spectrogram in audio visualization. After obtaining what they claim to be a mostly complete sample of cores, the authors calculate the mass distribution for them. This is done by converting dust extinction to a dust column density. This gives a dust mass for each clump, which can then be extrapolated to a total mass by assuming a set dust fraction. The result of this is shown in fig. 6 below. The core mass function they obtain is qualitatively similar in shape to the IMF, but scaled by a factor of ~4 in mass. The analysis is only qualitative, and no statistics are done or functions fit to the data. The authors claim that this result evinces a universal star formation efficiency of ~30%, and that this is good agreement with that calculated analytically by (Shu 2004) and numerical simulations. This is again only a qualitative similarity, however. We should also note that the IMF is hypothesized to be a log-normal distribution. This sort of distribution can arise out of any process that depends multiplicatively on many independent random factors. Thus the fact that dense cores have a mass function that is a scaled version of the IMF is not necessarily good evidence that they share a simple causal link, in the same way that two variables both being normally distributed does not mean that they are any way related. 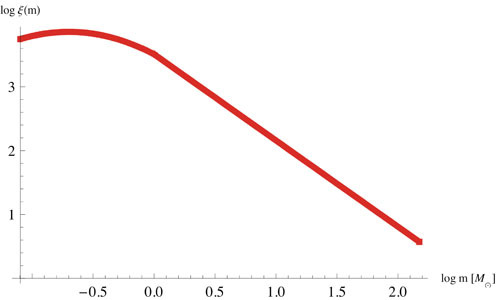 Figure 6: The mass function of dense molecular cores (points) and the IMF (solid grey line). The dotted gray line is the IMF with mass argument scaled by a factor of 4. The authors note the qualitative agreement, but do not perform any detailed analysis. These are the ideas reported by the student groups in our 7 March discussion of McKee & Ostriker (1977). If the velocity dispersion is dominated by thermal motion, then v ~ m^1/2, and therefore different species should have different line widths. If instead you’re looking at a cold cloud with a velocity distribution dominated by bulk motion, the line width will be independent of the mass of the species. Use different distributions along a line of sight. If the implied temperature variance changes as a function of distance along the line of sight, then it may be bulk velocity. if it doesn’t, you’re looking at thermal velocity. get different lines of sight!